Bryan Sullivan, partner at business and entertainment law firm Early Sullivan Wright Gizer & McRae in Los Angeles, is a legal strategist who advises and represents his clients in all their business affairs, helping them to achieve their business goals while ensuring that they receive the utmost level of protection along the way. 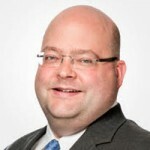 He is widely regarded as a legal authority on crowdfunding, representing clients in crowdfunding related matters, having published several articles on the topic, and investing in crowdfunded companies himself. Crowdfunding can be the game changer that helps a company reach its potential. However, most people considering a crowdfunding campaign to raise donation or equity money for their companies are under the illusion that, if they build it, investors will come—meaning they believe all they have to do is to put their campaign on a platform and the money will flow in. This misconception will lead to disappointment and a failed campaign. Truth is, it takes tremendous sweat equity and patience to pull off a successful campaign, which requires initial, foundational funding leading to the joke that companies often need to crowdfund even before their crowdfunding campaign. Ironically, it is estimated that you need to spend roughly 20% of your total funding goal before the campaign to achieve the campaign goal. In short, properly executed, crowdfunding can take a company to the next level. 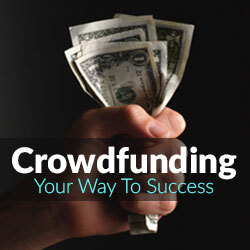 Here are some tips to make your crowdfunding campaign a success. How will the money I raise from crowdfunding advance my company? Will it expand the business? Will it help build a prototype of my product I intend to market and sell? Can the money I spend on a crowdfunding campaign be put to better use in the short term, allowing for a larger crowdfunding campaign in the long term? Can I use my current resources to build the prototype to demonstrate to the crowd that I have a product worthy of investing in? Can I use my current resources to sell my product and generate revenue and show the crowd that I have a desirable product? Am I prepared for an unsuccessful crowdfunding campaign? Sometimes it is better to initially raise capital from family and friends and begin selling the product to show the crowd that you have the ability to operate a company, and then use a crowdfunding campaign to expand the company’s operations. Indeed, many crowdfunding investors only want to invest in companies seeking to expand rather than attempting to launch. 2. Luck is Preparation…and More Preparation! Successful crowdfunding campaigns require a tremendous amount of preparation. Owners launching true start-ups will analyze and research the current market for their product or service and prepare a business strategy detailing how they plan on launching and growing the company so investors can feel confident they will receive a return on their investment. Although you might not like to hear it, this means you should prepare a private placement memo. In addition to a thorough market analysis, consider including a personal statement, including a compelling story about how and why you created the company, so investors feel invested in you as an individual. Did you experience any obstacles on your path to entrepreneurship? Did a major life event influence your career choice or business decisions? What drove you to create your company? Include facts about the company as well—What is your vision for the company? What problem(s) are you trying to solve? Why do you want to solve that problem? And, even though it might be costly, spend the requisite time and money to have a professional videographer work with you on an introductory video. Many investors make decisions based on the people involved in the company. The personalization of your company connects you to your investors and encourages engagement. Sold investors can often bring more. Another great resource in preparing for your campaign is researching other, similar crowdfunding campaigns. Many platforms (including Kickstarter nor Indiegogo) leave successful and unsuccessful campaigns on their websites even after they have ended. This means there is a treasure trove of information to mine to make your campaign that much better. You can see what works and what does not. Marketing is the most important aspect of your crowdfunding campaign because without it no one will know about the campaign. It baffles me how many times I speak with people who neglect marketing believing that traffic driven to the platform is sufficient. Ideally, your marketing campaign will begin 3-6 months before your crowdfunding campaign begins. This way you will have an audience already interested in investing in your company well before you start crowdfunding. First, utilize your existing network to engage your family and friends. Then, have those people utilize their networks to engage a new layer of people. You want to garner as much grassroots interest as possible in the early stages. Create a strategy for continuous and consistent social media coverage to keep the campaign in the forefront of potential investors’ thoughts. Next, contact bloggers and journalists to pitch your company’s differentiators and establish yourself as a source in your space. This can lead to press about your company that demonstrates your credibility to potential investors and provides content for your social networking efforts. Journalists and bloggers are always looking for article ideas to provide content online and in print. Consider hiring a public relations advisor to assist you with source opportunities and article placement. Also, a marketing and PR expert can help position you, and in turn your company, as an expert in the field, by putting you on speaking panels. The more opportunities you have to engage with your industry, the more opportunities you have to establish credibility. Finally, consider creating events for your supporters to build excitement about your company, and to rally others around your eventual crowdfunding campaign. Connect your product to a holiday, sporting event or season to increase the momentum surrounding the launch of your campaign. This is especially useful for connecting with backers through social channels, capitalizing on trending topics and popular hashtags to get more eyes on your crowdfunding campaign. When the time is right, invest in a large event to launch your crowdfunding campaign and invite current investors, potential investors, bloggers and journalists to excite people about your campaign. 4. Build Credibility For The Crowd. Although challenging, attempt to involve people already established in your industry with your company. There are several ways to accomplish this. One is to ask them for a small investment (which would help with the costs of the crowdfunding campaign) with the promise of making a larger investment if the crowdfunding campaign is a success. Another suggestion is to ask some people to be advisors to the company in exchange for a small equity component. A third suggestion is to create an advisory board consisting of some notable industry people. Success in these ventures will add credibility to your crowdfunding campaign. Indeed, a major concern for potential investors is that a new company lacks the experience necessary to break through. Adding people with experience validates your company to the crowd. Furthermore, if you cannot find experienced people to involve themselves with your company, then re-evaluate your company’s operations and ask why this is the case. 5. Interact with Investors and Potential Investors. Potential investors want to feel part of a team. Interact with people who are investing in your idea as much as possible through frequent updates, thank-you emails and social media outreach. Respond to their questions and take their feedback seriously, whether they are investing $1,000 or $100,000. Remember, you may be the brain behind the company but, once you take on investors, they are your business partners and you work for them (no matter how large or small their investment). Your investors can help in several ways and will want to do so if they are emotionally invested, as well as financially. While it will cost money or equity, it is important to retain competent legal advisors. Whether you are doing a donation or equity based crowdfunding campaign, your disclosures to the crowd must be truthful and responsible. This is even more important when issuing securities in equity based crowdfunding campaigns, which are heavily regulated by individual state laws and the Federal government through the Securities and Exchange Commission. In addition, utilize your marketing and PR advisor to work with your attorney to ensure your campaign is not misleading the public in any way. 7. Don’t Be Cheap Or Lazy. The biggest reason crowdfunding campaigns fail is because the people behind them seek to cut corners to save money or because they are lazy. As to money, you don’t want to be penny-wise and pound foolish. Treat your crowdfunding campaign as a major milestone for your company and spare no expense to make it a success. If successful, the money you raise will more than cover the costs. If you are lazy and think crowdfunding is a replacement for hard work, then reconsider whether the business world is for you. Any crowdfunding campaign and subsequent business milestones start with you and your efforts. Ultimately, whether you’re looking to jumpstart your marketing efforts, expand your customer base or reach out to friends and family for funding, crowdfunding can be an effective tool for accomplishing your startup goals. If used and timed correctly, the campaign can launch your company. Do it right, or all of your efforts to date will simply help you to fail forward.